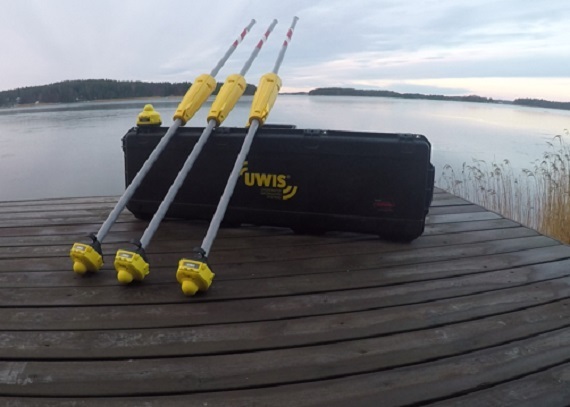 A Finnish system for divers called UWIS promises safe and successful underwater navigation. UWIS (short for UnderWater Information System) uses GPS location info for navigation, communication and data collection. This technology uses a centuries-old mathematical principle discovered by a bloke in a loincloth: triangulation. Three floating buoys are supplied in a pelican case, each with a transmitter fitted on one end. 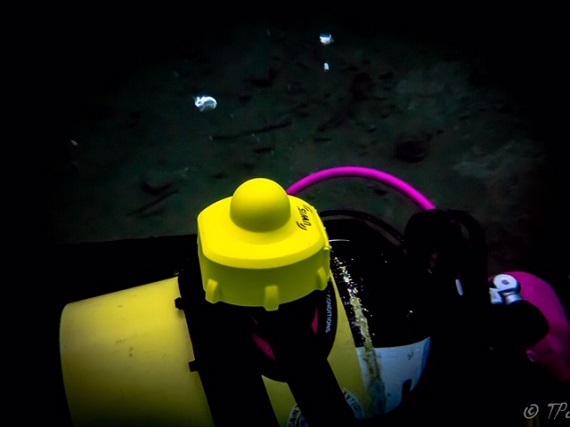 The diver attaches a matching yellow transmitter/receiver to their cylinder, which sends a stream of data to the buoys to triangulate location and depth. These ultrasound waves also enable two-way communications messaging between divers and surface. The system is accurate to a metre, which the manufacturer says can be narrowed down further using add-on technology to tens of centimetres, if required. The buoys cover an area of 1000 meters across and the software is able to track up to 100 divers simultaneously. Divers using UWIS are aware of their location and bearings at all times despite of currents or poor visibility – critical in SAR missions when there is no time to lose. The real time navigation allows divers to move quickly close to surface and descend only near the operation area. No need to follow the bottom. The system can be used independently or with the help of distance line for guide or communications. For example, in training the lines are useful for double-checking the divers’ actions. The dive leader on the surface can react to changing situations by adjusting and adding waypoints in real time. The location data helps to cover a search area efficiently as the divers can always carry on from the last point visited. 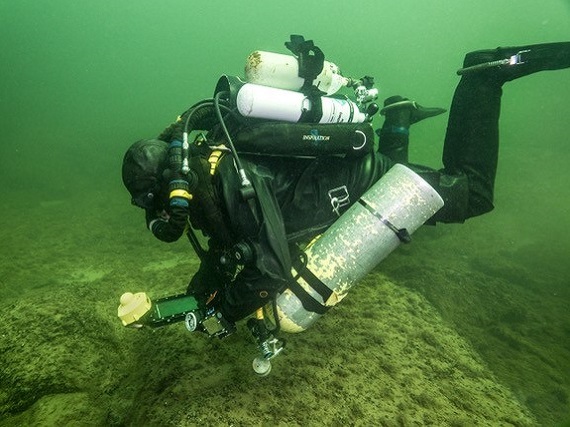 Data collected by the UWIS system makes debriefing and mission analysis straightforward and easy, as the divers’ actions can be traced and analysed for further learning. In addition to SAR missions UWIS is well suited for charting, cable laying and repairs and vessel inspections. It is also very good for under ice operations and efficient and safe control for diving groups. At the moment, UWIS is used by search and rescue (SAR), military and other professional divers, who need to know their exact position and route. 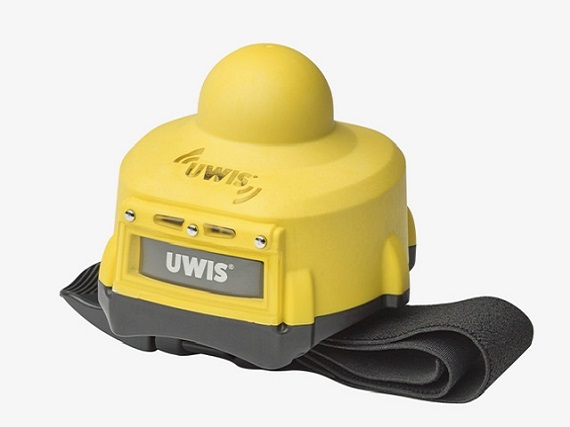 The manufacturer says “UWIS is suitable for recreational diving and it will be our target sector now when we have collected references from professionals.” The days of the traditional compass could be numbered. For more information on the UWIS system, visit www.uwis.fi.